HomeBobby Bragan Collegiate Slugger Award winner Hunter Hargrove signing hats. Bobby Bragan Collegiate Slugger Award winner Hunter Hargrove signing hats. 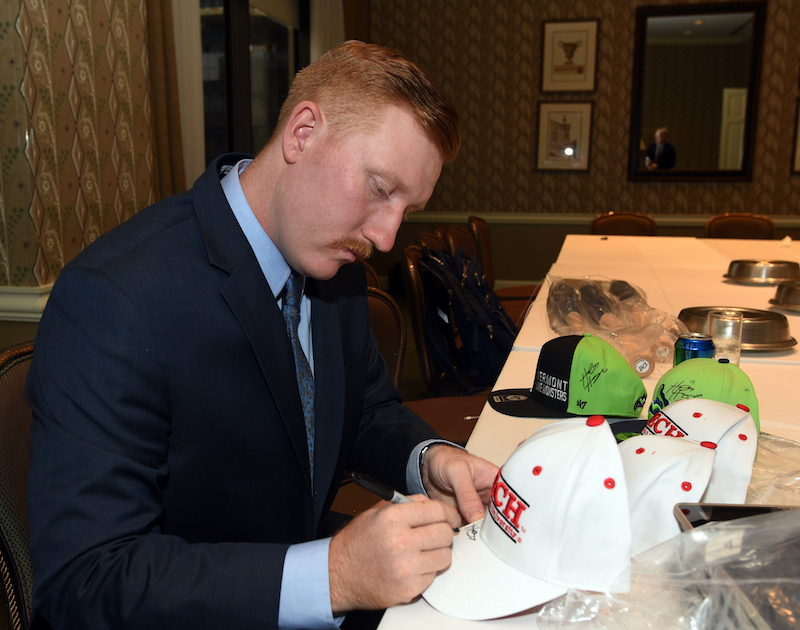 ← Bobby Bragan Collegiate Slugger Award winner Hunter Hargrove signing hats.